JAPAN: Panasonic Open Championship is back this month in Osaka from 19th – 22nd April, Japan. Professionals from around the Asian region will be participating in the tournament. This championship is part of the Panasonic Golf swing which consist of5 tournaments which are: Thailand Open 2017, Panasonic Open in India 2017, Maybank championship in Malaysia 2018, Indonesian Masters 2017 and Panasonic Open 2018. Panasonic Open 2018 being the 5th tournament will be the concluding leg for the Panasonic swing. Prize money for the first 3 positions are $70,000, $50,000 and $30,000 respectively. It is mandatory for players to play at least two events, including Panasonic Open, to qualify for the Panasonic Bonus reward. Points earned by players will be multiplied by 1.5x at the Panasonic Open. Having the most points, Shiv Kapur from India is currently in lead at the Panasonic swing. 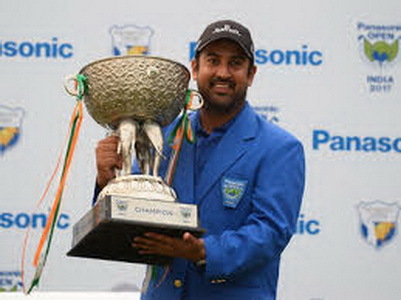 After winning the Panasonic Open 2017 last year in India, Kapur hopes to do the same this year at Ibrakai Country Club (India) where around 30 other professionals will be competing in the third event approved by the Japan Golf Tour Organisation (JGTO) and Asian Tour. Spotlight will also be on Miyazato and Satoshi Kodaira, who were the first in the money list of JGTO in 2017, and Ryo Ishikawa, the youngest golfer to break into the top 50’s in 2009.